Are SEO-based Websites that important? All websites are not at all created equal. A website that is not optimized for SEO purposes will definitely have a different impact on the World Wide Web, than a website that does not employ any Search Engine Optimization techniques. Some websites are business-related and are trying to sell you a product, service or another commodity through eCommerce. Then there are personal websites, web portfolios, social networking websites and just so many more it’s impossible to keep track. Marketing these different websites is completely dependent upon how far the creator wants them to go. Personal websites are often meant just for family and friends. Although random people may stumble across them, they will be far and few between. When it comes to business-related websites though, typically the more traffic they receive, the better the overall results. 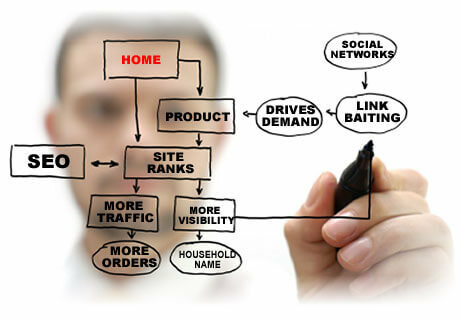 For this reason, there is a need for SEO websites, especially those created by Aventura website design companies. URLs play a large part in the analytics for a website. A URL, or uniform resource locator, is basically the web address that directs a person to a particular website. The more quality URLs within a website, the better. This just gives web surfers more ways to make their way to a website’s homepage. This is one reason that websites will often have various different landing pages that are each optimized for a particular keyword. Now standard websites might have different URLs, but they may not be SEO-friendly. Or, if the website is flash-based, the URL may not change at all while a user is navigating through the website. One issue that many companies face is that fact that they want a crazy flash-animated website with so many different widgets, sounds, videos and other features that it causes the website to take too long to load and is also difficult to optimize for search engines. A standard website that is purely for personal use and doesn’t really need online marketing is open to allowing any kind of visual aesthetic desired. However, for a company that wants to get the word out regarding their business, certain visual aspects must be avoided to carry on a successful SEO campaign. Standard and personal websites will not likely be found at the top of a SERP on Google or any other search engine for that matter. This is perfectly fine, as long as the website is not looking for an audience. However, most custom-designed websites that are created with a large investment typically want to be seen. Without implementing various SEO strategies to keep the website traffic flowing in, the conversion rates high and the SERPs steady, it is important to be actively involved in SEO strategies on a daily basis for that website. The plain truth is that if you have no particular audience for your website, feel free to have it created any way you want or even create it yourself using one of the many free online platforms to create your own website. However, for serious business professionals looking to turn a profit from their online investment, a highly optimized SEO website will always be the best way to go.